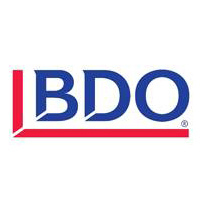 BDO is the brand name for BDO USA, LLP, a U.S. professional services firm providing assurance, tax, financial advisory and consulting services to a wide range of publicly traded and privately held companies. For more than 100 years, BDO has provided quality service through the active involvement of experienced and committed professionals. The firm serves clients through 49 offices and more than 400 independent alliance firm locations nationwide. With a national footprint and broad international network, BDO is poised to serve you wherever in the world you do business. In addition to our breadth and depth of resources, it’s our people, the knowledge they bring to engagements, their commitment to exceeding expectations, and the candid relationships they develop with clients that has made BDO the distinct choice for clients of all types and sizes.